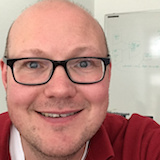 Dirk Feldhaus has been a network engineer for Arvato Systems for almost 20 years, working on different network areas from Carrier Management to Campus LAN in that time. A few years ago, the focus shifted to Data Center Networks and, since early 2017, he has been working extensively on Cisco ACI for classic workloads, Openstack, and NSX. One of his main goals is to minimize the time he and his colleagues have to spend on implementation and configuration by using network automation tools.